Dr. Manuel Boller of Center for Resuscitation Science at School of Veterinary Medicine and Dr. Flecher from Cornell University School of Veterinary Medicine lead a team of specialists in veterinary medicine in researching on how they can improve the success rate of CPR on pets. When Dr. Fletcher was researching about a dog training program- robo dog patient simulator, the doctor realized that information that existed on how to perform CPR on pets was very conflicting. He then got in touch with Dr. Boller, who had also started noticing some inconsistencies in the pet CPR procedures especially among those specializing in critical and emergency care. After realizing that most of the papers published on this issue required further evaluation to create a consistency in the protocol, the two recruited colleagues from ACVECC- American College of Veterinary Medicine & Critical Care, VECCS- Veterinary Emergency & Critical Care Society and ACVA- American College of Veterinary Anesthesia who were to assist in reviewing the existing literature. This led to the birth of recover. Then, the big task was to find all the papers that had been reviewed by the peers on CPR. They started to evaluate the papers based on their data quality. By using the information they gathered, the research team came up with guidelines for providing basic life support on pets, monitoring, and advanced life support and post arrest pet care. These guidelines were formulated using the best information available from animal and human data. When performing a CPR on dog, there are some dos and don’ts that you should keep in mind to make the procedure a success when a pet suffers a cardiac arrest. According to Dr. Fletch, it is important that the pet is rushed to a veterinary center as fast as possible. 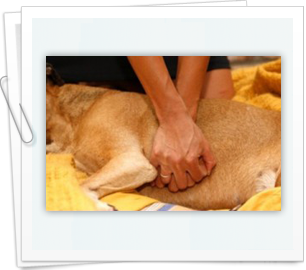 Any delays in providing advanced care for the dog can reduce its chances of surviving. He further continued to say that pet owners without CPR training shouldn’t attempt resuscitating the animal. This is because there is a high potential of causing even more damages and making the cardiac arrest condition worse. People with hand on training on CPR should perform about 100 chest compressions. This should involve pushing the chest to a third of its normal depth and allowing it to completely recover. If there are other people around, they should perform the compressions alternatively after every 2 minutes. This is because fatigue by the responder can make him lean on the dog’s chest when performing the compressions which reduce their effectiveness. Lastly, give the pet two 1 second breaths through mouth to the snout after every thirty compressions. The team of researchers is in the process of finalizing an online pet CPR course that will make the works of veterinary technicians easier.